Murchison Falls National Park is Uganda’s best safari park for game viewing and birding tours. With Budongo forest, it provides a very important destination for primates of over 76 species of mammals which include; Lions, Elephants, Buffaloes, Leopards, Hippos, Cape buffaloes, Warthogs and many more. It is also gifted with over 450 bird species which include the rare shoebill, African skimmer and many more which are favored by the rich presences of Savannah, woodland, River / wetlands and Tropical forest habitants. Murchison Falls Park is located in the Northern end of the Albertine Rift valley. 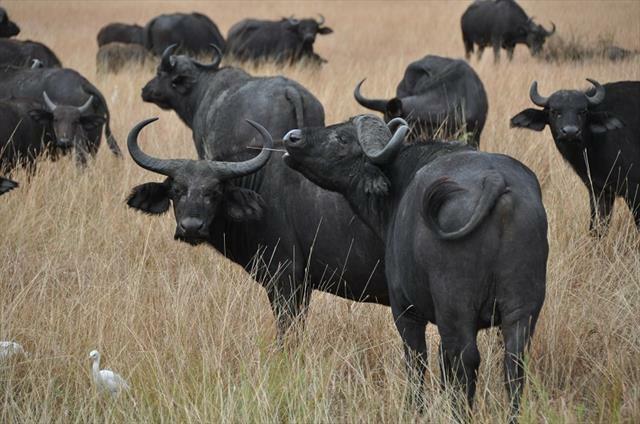 It is Uganda’s oldest and largest game reserve. Queen Elizabeth National Park is Uganda’s most popular Tourist destination. The park’s diverse eco systems which include:- sprawling savannah, shady, humid forests, sparkling lakes and fertile wetlands, make it the ideal habitant for classic big game that is:- lions, elephants, buffaloes, hippos, tree climbing lions, kobs and so many more. Ten primate species including chimpanzees and over 600 species of birds. Kanzinga channel home of the wild and Kyambura Gorge home of chimpanzee. Lake Mburo National park is in the middle of an extensive rich acacia woodland, lies one of Uganda’s most spectacular and breathtaking game parks in Uganda. 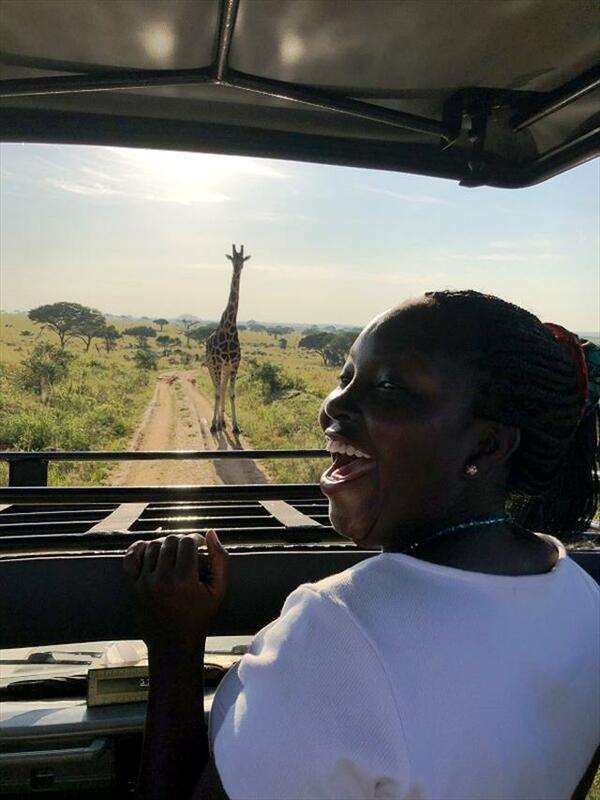 It is the gem of a park, conveniently located close to the western highway that connects Kampala to the parts of western Uganda. 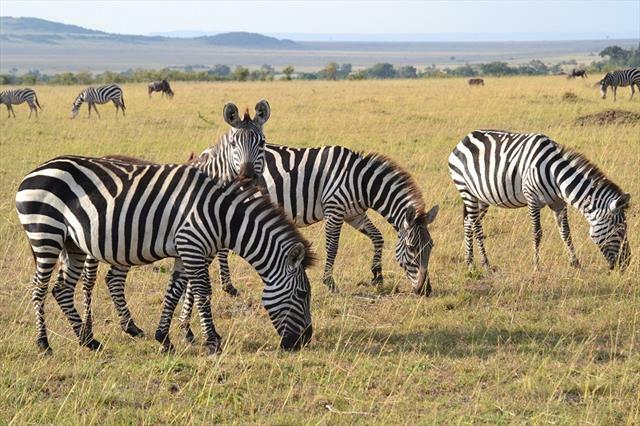 The eastern hinterland of lake mburo is served by a network of game trucks along which a variety of savannah animals and birds can be sighted which include:- Impalas, zebras, buffaloes, bushbucks, warthogs, crocodiles, hippos, antelopes and so many more. Day 1. Transfer to Murchison Falls National Park. After early morning breakfast, our experienced Diver/ guide (Mr Paul Nkata) will pick you from your hotel and set off northwest of Kampala towards the famous Luwero triangle. Lunch in Masindi at Kabalega Resort and then enjoy Budongo forest on the western part of the rift valley to the park. On your way to Murchison, we are most likely to see some animals like, elephants, leopards, buffaloes, hyenas, lions and many more since Murchison has both big and small animals. Get to the park in the evening and relax, Dinner and over night Paraa Safari Lodge / Bwana Tembo Safari Lodge / Red Chilli Camp. Wake up for a great breakfast and set off for an early morning drive north words of the park to meet those early morning risers like the elephants, kobs, leopards, lions, hyenas, buffaloes before they go to their hide outs. Back to the lodge for some rest as lunch comes. After lunch go for another interesting activity in the world, so stress free and breath taking, the boat cruise on the Victoria Nile and also witness the mighty falls. That’s why truly Uganda is the peal of Africa. Have a stop at the Devil’s Cauldron, mammals like hippos, buffaloes, crocodiles will be seen on the edge of the calm waters of the Nile and birds like Goliath herons, Egyptian geese, Pelicans, Bee eaters, Kingfisher hornbills, Cormorants and the rare shoe bill may also be seen around the shores enjoying the nature. Dinner and over night Paraa Safari Lodge / Bwana Tembo Safari Lodge / Red Chilli Camp. Day 3. Rhino trekking and transfer to Queen Elizabeth National Park. Early morning breakfast and set off to Ziwa Rhino Sanctuary for a Rhino Trekking where you will see Rhinos and more different primates like the blue monkeys, baboons, Columbus monkeys, black and white monkeys drive to Queen Elizabeth with a stopover at the Equator for photo shoots and lunch. Get to the park in the evening, Dinner and over night at Mweya Safari Lodge /Bush Lodge/ and Simba safari lodge. After early morning breakfast, transfer to Kyambura Gorge home of the chimpanzee for a trekking where your guide will take you to man’s cousins, the chimps. On your way you will enjoy the countless birds which include the Uganda flamingo, shoe bill and many more primates. Drive back to the lodge for lunch. 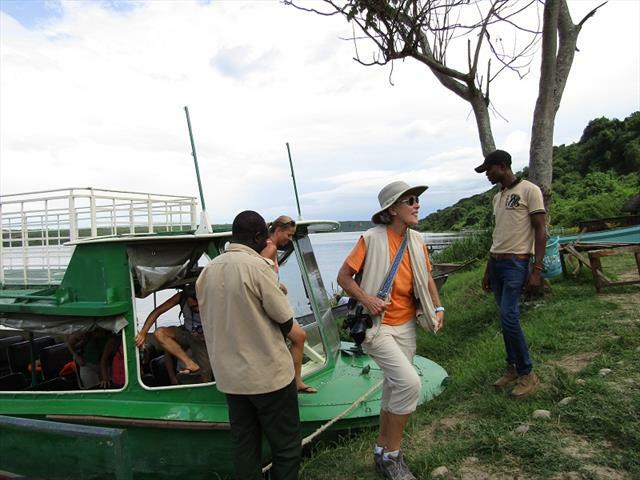 After lunch, go for a breathtaking Launch cruise, so interesting on the Kazinga channel, buffalos, hippos, crocodiles will be seen around the edge of the channel as they cool off and birds like, the water bucks, noisy hornbills, the two species of pitas, African grey parrots and many more. Dinner and over night at Mweya Safari Lodge / Bush Lodge / and Simba safari lodge. 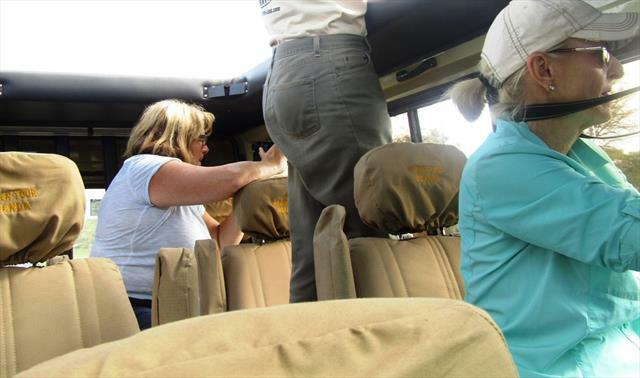 Day 5: Morning Game drive and transfer to lake mburo NP. An early cup of coffee to warm up the body for the morning game drive and observe, a number of early risers like leopards, hyenas, lions, kobs, antelopes and many more will be seen plus birds like; Wood billed, Red collared, Green crombs, Yellow billed, Grey treated starting, purple indigo, Lender bill quelas, masked weaver, Grosbeak weaver, Copper sunbird among others. After a morning game drive, go back to the lodge for breakfast and rest along the pool as lunch comes. After lunch drive to Lake Mburo National Park arriving in the evening. Check in and relax at the hotel. Dinner and over night at Arcadia Cottages / Eagles Nest lodge. At 06:30am have early morning cup of tea or coffee preparing you for an early morning game drive in the open grasslands of the park with an opportunity of viewing the Impalas, Eland, waterbucks, zebras, buffaloes, and many others. Return to the hotel for lunch. After lunch go for a breath taking boat cruise on Lake Mburo with a chance of seeing several water birds aside the sitatunga, a wetland dweller, hippos, waterbucks, and other water animals. So many animals come by the lake to take water. Return to the hotel. Dinner and over night at Arcadia Cottages / Eagles Nest lodge. Day 7: Nature walk and Transfer back to Entebbe.